Killarney has a wealth of places to eat. 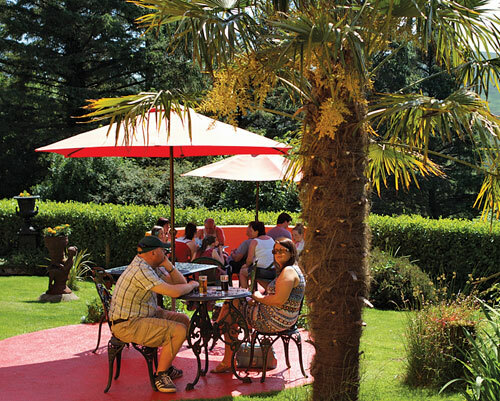 The Cahernane House Hotel offers it’s guests several options for a delicious meal; the Cellar Bar where you can enjoy lighter bites and the Herbert Restaurant which offers award-winning dining. You’ll be sure to find something to suit your tastes. Located in the basement of the hotel, The Cellar Bar occupies the original wine cellar of the house. Cosy and inviting, and difficult to leave; we have an extensive selection of beers, spirits and wines for you to enjoy. Curl up by the fire with a good book or recount the tales of your day’s exploring while enjoying your favourite tipple. We are proud to stock locally produced beers from the Killarney Brewing Company. All their beers are named after local myths and legends, evoking emotions of all things Killarney. There is a selection of light bites, main courses and pastries served daily from 12:30-6pm. The Herbert Restaurant at Cahernane House Hotel epitomizes the style and grandeur of the original house and commands beautiful views over the surrounding landscape. The restaurant is complete with luxury furnishings, flooring and fittings. Our beautiful Bushfield Interior curtains frame the stunning views over the Tomies and Purple Mountains. Our grandeur twinkling Chandeliers are from Tara Crystal Chandeliers. The intricate wallpaper is from Lewis and Wood, London and silver cutlery is from Robert Welch. The perfect surroundings and ambiance to match our exquisite dining. Dinner is served each evening in The Herbert Dining Room. Recently awarded 2 AA Rossettes in recognition of culinary excellence, The Herbert Dining Room uses the finest locally sourced seasonal produce. 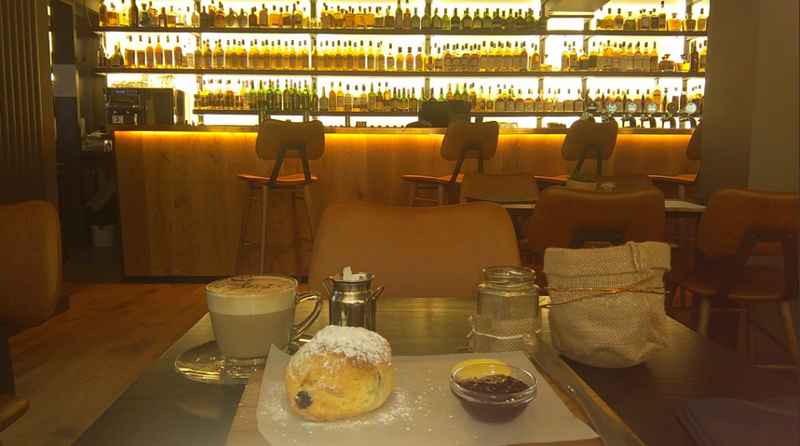 Celtic Whiskey Bar & Larder is Killarney’s newest home of incredible whiskey, carefully selected Irish Craft Beers and spirits, delightful wines and cocktails, Irish gin & vodka and delicious food, too! Enjoy mouthwatering wholesome food at the Celtic Whiskey Bar & Larder where locally sourced breakfast, lunch and dinners are served daily until 9.45pm. With a central location, right in the heart of Killarney town, it’s a great place to stop in for a drink or a meal (or both!). Their food philosophy is simple – fresh, tasty, local food that tastes great. 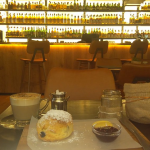 Also worth checking out is the Irish Whiskey Experience at the Celtic Whiskey Bar & Larder which offers visitors masterclasses on Irish whiskeys – blending whiskey, pairing whiskeys and the history and methods of whiskey production. 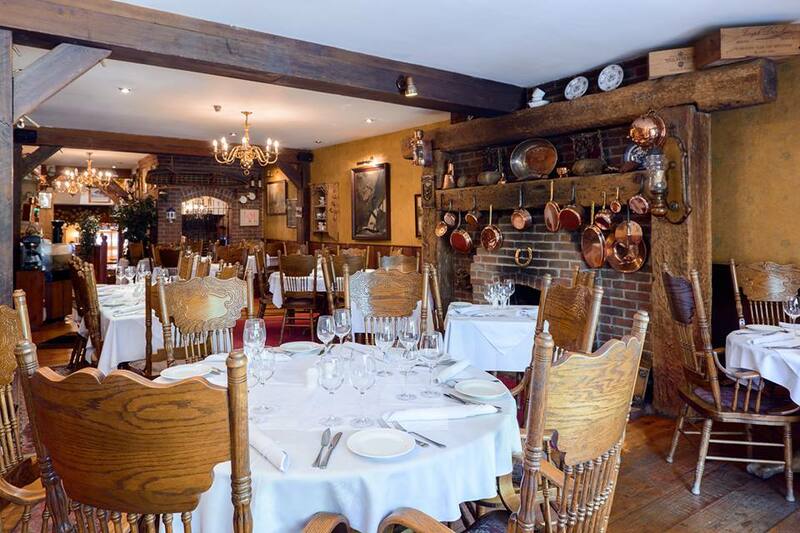 The award-winning Gaby’s Seafood Restaurant is one of Killarney’s best restaurants; full of character with an open fire, wine cellar, old timbers and a low lit dining room, its walls covered in awards. Gaby’s provides a varied menu for seafood lovers, using the freshest, quality ingredients served in a traditional manner. Being one of Ireland’s longest established and reputable seafood restaurants, you are sure of a treat when you visit Gaby’s. 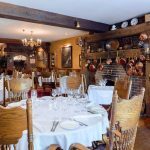 The friendly, professional staff are on hand to offer you advice on the extensive wine list as well as help you make the perfect dining choice. Delicious selections of desserts are available, along with a varied cheese platter. For those who want superb seafood, cooked to perfection and served in a traditional way, look no further than Gaby’s Seafood Restaurant. 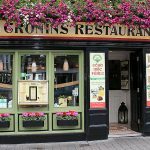 Since its opening in 1957 by Johnny and Noreen Cronin, Cronin’s Restaurant has built a reputation for good, tasty food and friendly service. Today Johnny and Noreen’s son, Pat and his wife Sheila continue the family tradition of serving delicious meals in a friendly, family atmosphere. Pat and Sheila, along with Chef John Enright, take great pride in serving their guests the freshest locally sourced produce such as smoked salmon from Kenmare, award winning Ring of Kerry lamb and Irish Hereford beef. 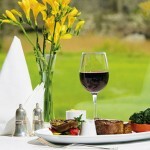 Dining at Muckross Park Hotel is a unique experience in Killarney. 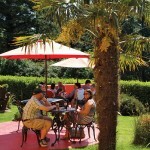 The hotel has a range of options including Yew Tree fine dining restaurant, Monk’s Lounge and The Jarvey’s Rest. 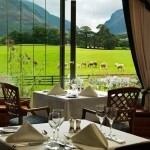 Muckross Park Hotel is one of the most enviable dining locations in Killarney National Park. Yew Tree Restaurant, winner of an AA Rosette, is proud to offer a fine dining experience. Our team of experienced chefs have selected a menu based on seasonal ingredients from the finest purveyors of Irish food. The restaurant is set in the original wing of the hotel. It has a resident pianist who entertains guests on a grand piano during dinner. Monks Lounge is open daily and serves classic afternoon tea in a friendly and warm setting. Monks Lounge serves an exceptional collection of wines, champagne, Irish and international beers and premium brands. Guests can also enjoy evening cocktails and a wide selection of Irish whiskeys. 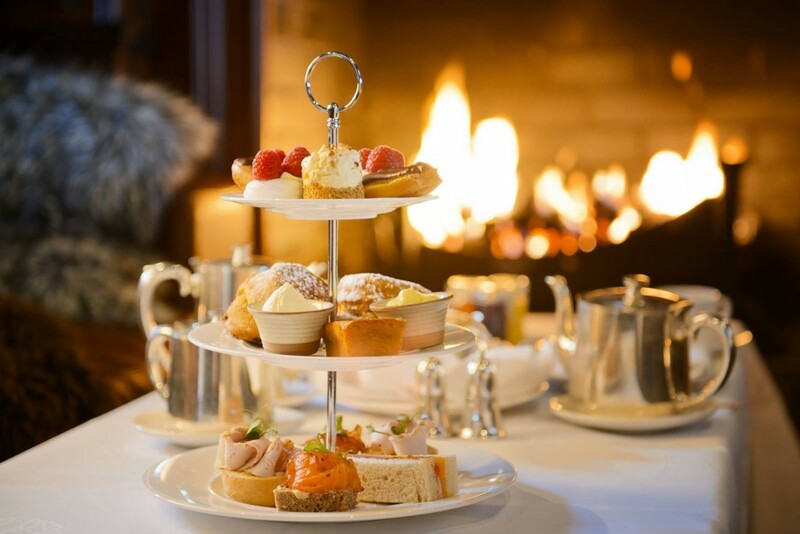 Afternoon Tea in Muckross Park Hotel has been enjoyed over the decades by guests and vistors and offers a range of fine pastries, treats, select teas and gourmet coffees. 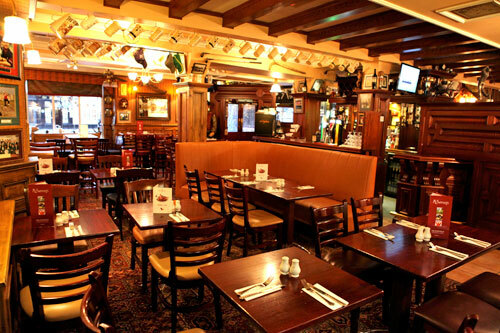 Our Traditional Irish Pub, The Jarvey’s Rest, is the perfect location for a taste of Kerry. Where wooden floors, stonewalls, beamed ceilings, open fires and live Irish entertainment create a warm and friendly welcome. 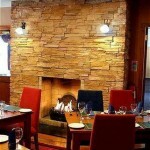 Enjoy a welcoming drink by the fire or choose a rustic Irish dish prepared expertly in our kitchen. 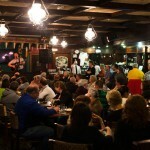 Join our Irish Night experience and see the best in traditional music and Irish dancing. 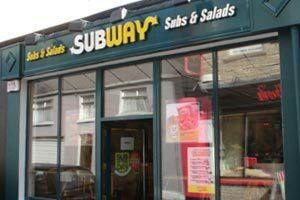 Whatever you’re in the mood for, Subway Sandwiches stores have a huge range of Subs, salads, treats and drinks to choose from. And here’s the best bit – every one of our Subs is made fresh in front of you, exactly the way you want it on the bread of your choice. You choose the salad and sauce you like too. For mornings when you’re not with it, we’ve cooked up a great range of tasty 6-inch Breakfast Subs or flatbreads that will set you up for the day. For a start, we use free range eggs and delicious pork sausages. You can also have it toasted with melted cheese. Even better, we give you free sauce. Pass the ketchup! Subway Sandwiches is committed to providing a wide range of great tasting, healthier food choices while reducing our environmental footprint and creating a positive influence in the communities we serve around the world. We are committed to improving the nutritional quality of our products and providing detailed nutrition, diet and healthy lifestyle information. 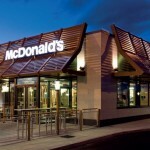 Since 1977, McDonald’s been proud to serve the Irish people with some of their favourite food. And along the way, we’ve managed not just to live history, but create it: from the first drive-thru restaurant in Europe, to the first McCafé in Europe to our ongoing food innovation, McDonald’s has been at the forefront of serving our customers. It’s been quite the journey, and we promise this is just the beginning – we’ve got our hearts set on making more history. All of our restaurants have been re-imaged and are now more modern, attractive and comfortable than ever before. Gone are the old plastic seats and strip lighting to be replaced by softer furnishings, soft lighting and modern furniture. We now open for breakfast, meaning that we are open when our customers want to visit us; our restaurants have now been fitted with hearing loops, Braille menus and in many cases accessible doors meaning that people with disabilities can easily visit our restaurants. We now offer easily accessible free Wi-Fi and we have rolled out contactless payment for credit cards. High quality is one of our top priorities. From our meats to our cheeses, from our fresh produce to our eggs, we’re committed to serving you the very best. All our beef, bacon, milk, cheese, water and eggs are 100% Irish. Come and visit McDonalds Killarney and leave with a smile! The Saddlers Pub in the Holiday Inn Hotel in Killarney, Co. Kerry is where you will be greeted with a friendly smile and a warm atmosphere. Saddlers Pub offers both bar food and entertainment to suit all ages. It’s a place that is loved by both locals and guests alike. At Saddlers Pub, you will be spoiled for choice with our new and exciting Bar food menu where food is served daily from 12.30pm to 9.30pm. 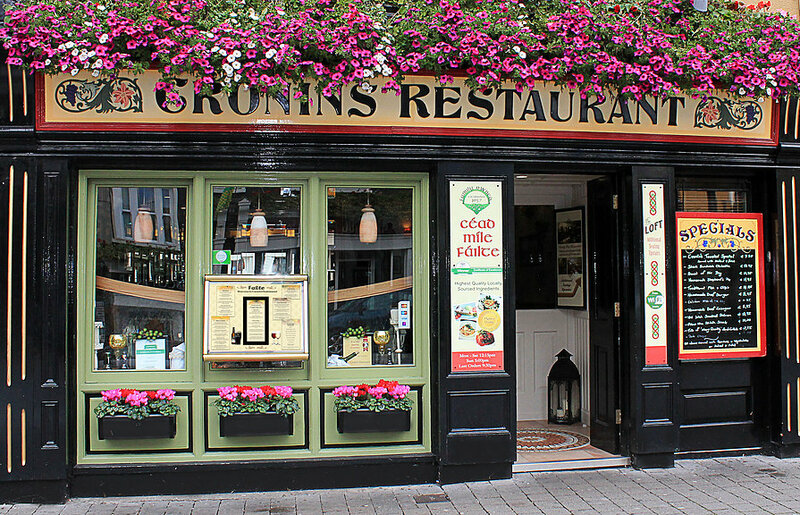 Dining out in Killarney has never tasted better! There is also a special Children’s Menu at Saddlers Pub so the kiddies can enjoy a great tasting meal and fun atmosphere too. 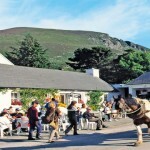 Holiday Inn Killarney, is also a popular choice for hotel breaks in Ireland with entertainment. During the weekend our local bands provide a great mix of covers live on stage. Not only that, you can sit back and enjoy all major sporting events throughout the year from our wide screen TV or try your hand at a game of pool. 9.30pm – Mike Neeson – Come & join Mike Neeson, a local from Killarney. Mike plays a wide variety of sing along tunes. Audience participation is always welcomed! 9.30pm – Our Saturday Night entertainment varies week to week but always playing a wide variety of hits, popular with all ages. 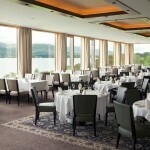 The Europe Hotel & Resort offers a number of flexible options for dining in Killarney with a choice of restaurants: The Spa Cafe, is open daily from 11am to 7pm (seasonal), serving lunch, brunch and healthy snacks in a light and airy dining room which enjoys sweeping views over the lake and mountains beyond. 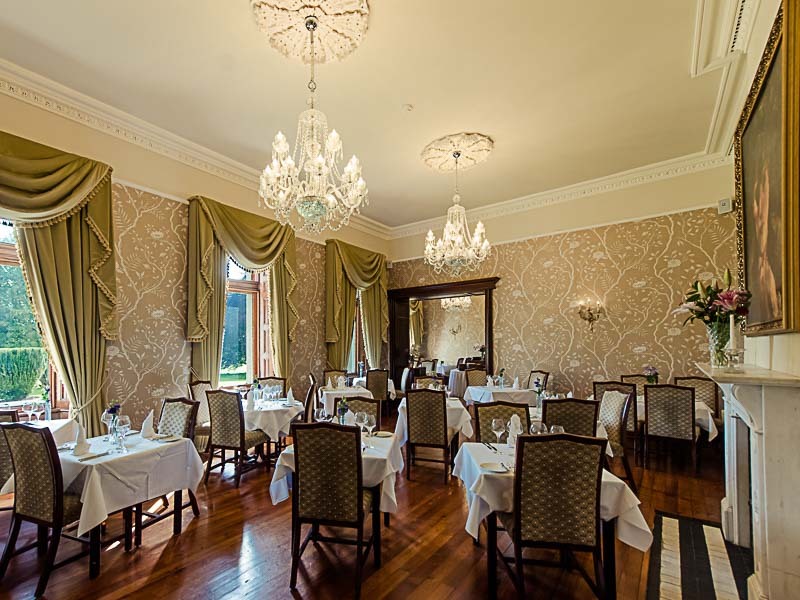 The Brasserie Restaurant Killarney, with terrace for relaxed al fresco dining, is open daily from 11am to 11pm serving light snacks to succulent flamed grills steaks cooked in front of you by award winning chefs on an open grill. 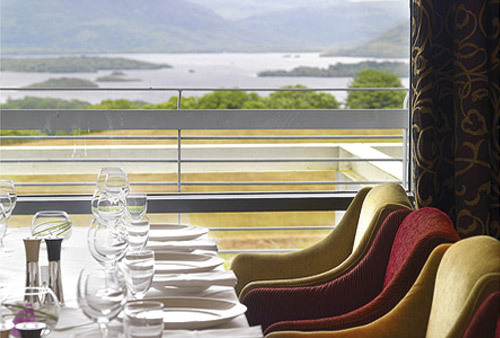 The Panorama Restaurant in Killarney has one of the most enviable views in Ireland with vistas of the Lakes of Killarney, mountains and gardens stretching before you. 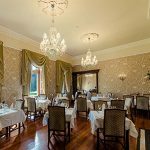 This Killarney restaurant is open for breakfast from 7-10.30am and dinner from 7-9.30pm (closed for dinner on Sunday) providing fine dining in Kerry at its best. 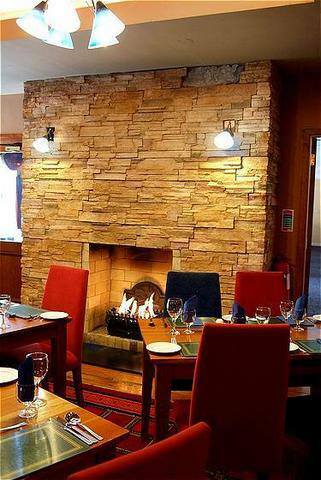 So why not sit down and enjoy Irish and international cuisine in one of Killarney’s finest restaurants! Both the Brasserie and Panorama Restaurants at The Europe Hotel have dedicated Children’s Menus. 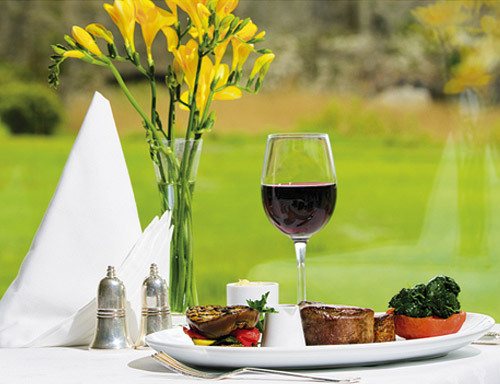 In the most beautiful natural setting you can enjoy the best of international and Irish cuisine at Dunloe Castle Hotel in our gourmet restaurant and browse the magnificent list of wines to select the ideal complement for your meal. 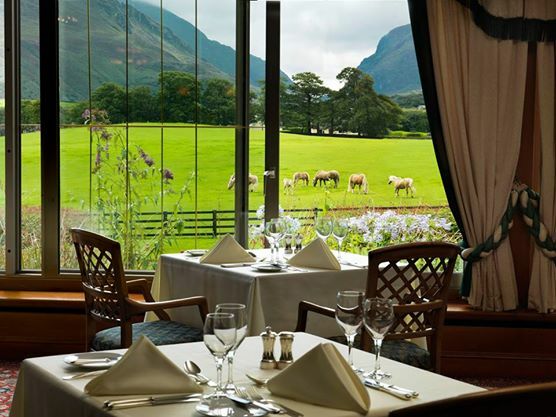 For fine dining in Killarney, visit The Garden Cafe or the Oak Restaurant and enjoy the best of local produce at the luxury Dunloe Castle Hotel. Ireland, and particularly county Kerry, is home to some of the best gourmet food in Europe. 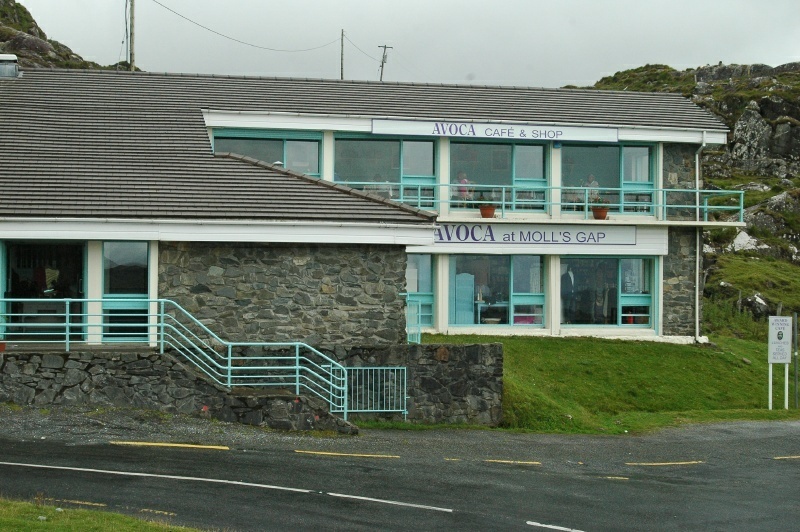 Wild Atlantic fresh fish and high quality Kerry lamb frequent our menu. The Garden Café is the ideal place for casual dining while the Oak Restaurant is elegant and classical with views over the gardens and mountains. The 5 Star Dunloe Castle Hotel showcases the best of local produce with the finest of fresh, natural ingredients prepared by our artistically creative head chef. For afternoon tea or morning coffee, the Upper Lounge offers a relaxing setting with panoramic views over the countryside. The bar offers an intimate cosy space, where conversation flows readily while guests sit and relax with a cream-topped pint enjoying a variety of live musical entertainment. 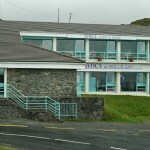 McSweeney Arms Hotel has an on-site restaurant, Tony’s Sandtrap Bar and Grill, where food and drink are top quality. Our Sandtrap is the heart of our hotel for all our guests and locals alike. It has grown in character over the years and is renowned for its warm atmosphere, great food and good company! Sandtrap Bar and Grill is designed in two parts. On one side, it’s a place to socialise and talk sports with 8 flat screen TVs. Home to a blend of residents, locals and people just passing through, one quiet drink has often turned in to a great night out! On the other side, you can enjoy our delicious home made food served in our popular restaurant. 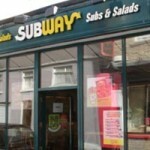 Our menu is fresh, our service is top quality and the atmosphere is easy going. Perfect for a quick bite or a relaxing evening meal. We know you’ll enjoy your meal with us at McSweeney Arms Hotel! 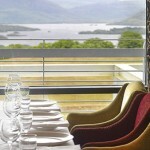 Aghadoe Heights Hotel Lounge & Bar has three great areas to choose from when deciding on your meal. The Heights Lounge features casual all-day, all-evening dining and a menu with dishes from €8 that has plenty of choice with an elegant twist. 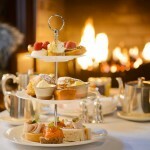 Afternoon Tea served daily from 12noon-5pm. Traditional three-course Sunday Lunch. There is also a dedicated children’s menu. €29.50 per person. For pre-dinner aperitifs and all day dining, the Terrace Bar is perfect for an al fresco option with an extensive light menu, delicious afternoon tea and a decadent cocktail list. The Lake Room Restaurant serves mouth watering dishes from the best of local, in-season ingredients. With an ever-changing a la carte menu, dining in the airy, open plan Lake Room is sheer perfection, from aperitif to the last petit fours. Fine dining, Table d-Hôte dinner menu. Winter menu €45pp, Summer menu €55pp. 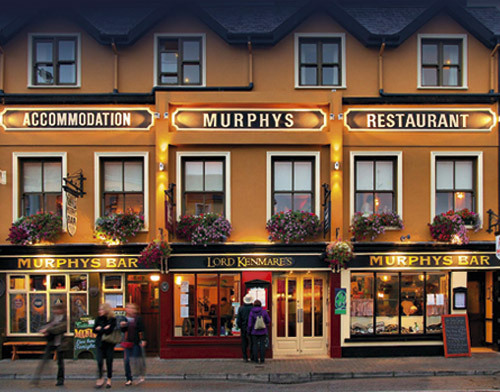 Murphy’s Bar & Lord Kenmare’s Restaurant is a proud family tradition for over 50 years with a great reputation for accommodation, good food and traditional Irish music nightly. Popular with locals and tourists alike and it’s not hard to see why. 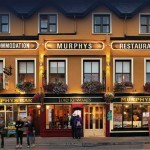 At Murphy’s Bar, the lively traditional music and natural, homely character of Killarney’s beloved establishment is matched only by its coveted reputation for good food. With an excellent menu served all day (featuring Steak and Seafood dishes) and the finest pint of Guinness in Kerry, Murphy’s Bar has people returning again and again. Lord Kenmare’s, above Murphy’s, serves the finest in Irish & Mediterranean cuisine – the Seafood Platter is a must! The extensive range of dishes available are also complemented by a truly comprehensive wine list. 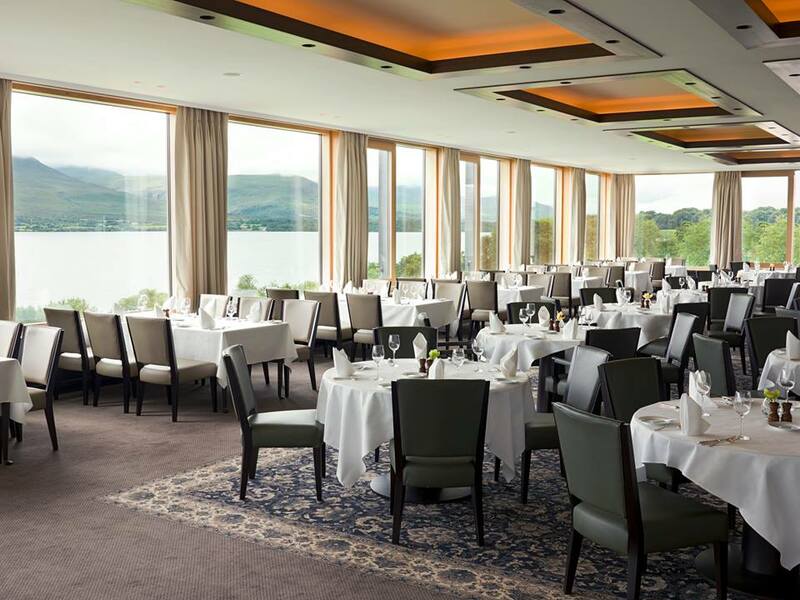 The Lakeside Bistro, located in the Lake Hotel, overlooks Loch Léin and the 12th Century McCarthy Mór Castle. With the warming golden sunlight pouring in throughout the day and evening this is the perfect spot from which to admire the beautiful scenery of Killarney. The Lakeside Bistro is popular for morning coffee and scones as well as leisurely lunches for guests, locals and passing tourists. The great, local, fresh produce prepared by our Chefs combined with friendly and helpful staff ensure that guests come back again and again to enjoy this restful and inviting space. Also available to make your visit more enjoyable is a great kids colouring set, just ask your server. The Lakeside Bistro also offers a tasty vegetarian menu with daily specials and free wifi means if you have to look away from the beautiful view, it is at least easy to do any work that has to be done. 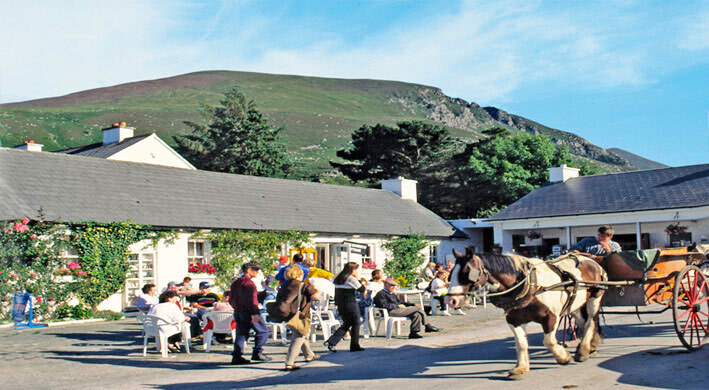 Kate Kearney’s Cottage is a 150 year old family run establishment nestled at the entrance to the world famous Gap of Dunloe. There is a great history behind the real Kate Kearney and the legend has captured the imagination of people far and wide down through the years. The Bar and Craft Shops are open 7 days a week from 10am each day. We serve bar food daily from 12noon until 8pm. At Kate’s, you will enjoy the tradition of hospitality made famous by the legendary Kate herself. Kate Kearney’s Cottage is open for Sunday lunches and group bookings. Every Wednesday, Friday and Sunday night during the season we play host to an “Irish Night” featuring local traditional musicians and dancers. Perhaps the most authentic night of its kind in the area, our guests can also partake in old-time and Irish set dancing. Although a tourist ‘hot spot,’ the quality of the food and service has made Kate’s hugely popular with the locals also. Sample Dish: Check out the braised lamb shank – delicious! The legendary Danny Mann Pub & Restaurant in Killarney has been entertaining visitors and locals alike for over 70 years. With its large open fireplace, flagstone floors, timber beam ceilings and old world furniture, the Danny Mann is the quintessential Irish pub. 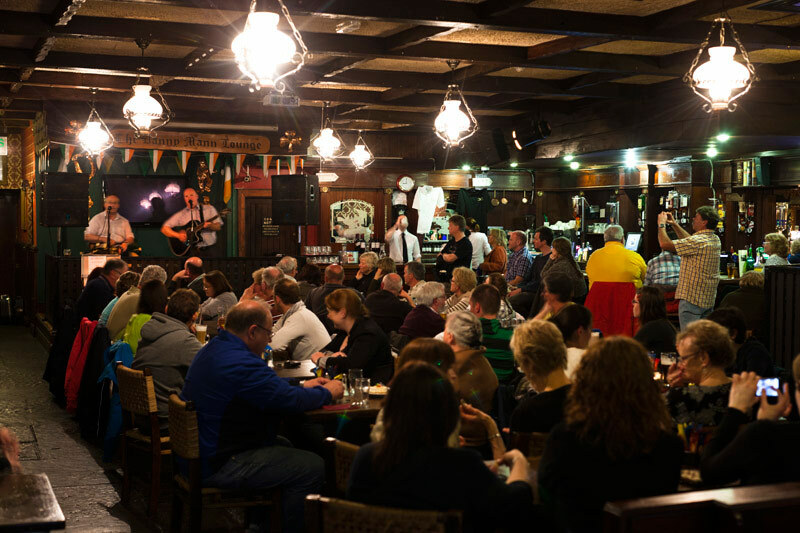 Here you can experience the best of traditional Irish music while enjoying a hearty meal and one of our potent brews. The Danny Mann is the home of traditional music in Killarney. We feature the best traditional musicians nightly and on weekends in the winter. We also regularly feature Irish dancing. Come on in for a great night out! 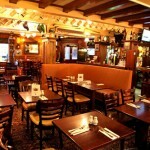 At Danny Mann Pub & Restaurant you’ll enjoy fine food and drink and craic in a traditional pub. All at good value prices and served by our friendly staff. 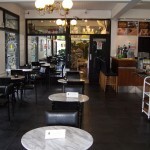 Extensive menu served throughout the day and Irish Stew and Irish Coffees are our speciality. You can also enjoy all the major soccer, rugby, football, hurling and racing events live on our Big Screens. We also have a pool table, dart board and cards for your enjoyment. Food Served: Breakfast 10am-3pm Sat & Sun, Lunch 12.30pm-5pm, Dinner 5pm-9.30pm. Great value Early Bird 3 Course meals served from 5.30pm-7pm. 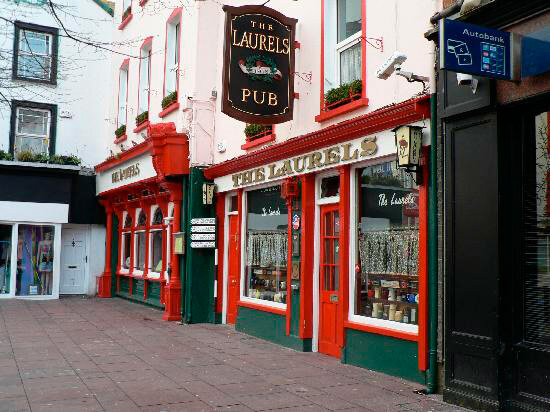 The Laurels Pub & Restaurant is a wonderful traditional Killarney pub which has been run by the O’Leary family for almost a century. And little has changed in that time. Tiled floors and beamed ceilings, lots of alcoves and dimly lit corners, friendly and attentive staff, all contribute to the charm of The Laurels. During the season, live music and Irish dancing add another dimension. And all year round, appetising food is served. 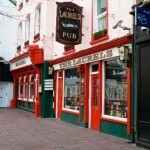 The Laurels is a long established family run pub situated in the centre of town with a rich family history as well. It is well renowned for great food and drinks – ideal for lunch, dinner or late night snacks. How about potato cakes with chicken and smoked bacon with mushroom sauce and salad? Discover for yourself why The Laurels Pub & Restaurant is such a local favourite. 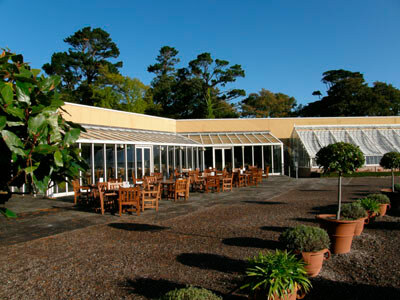 Mucros Garden Restaurant, adjacent to Muckross House and Gardens, is an ideal venue for those who wish to enjoy a relaxing meal in the scenic surroundings of Killarney National Park. Set against the spectacular backdrop of Torc and Mangerton Mountains, the Garden Restaurant enjoys magnificent views across the old Victorian Walled Garden area. This modern, 170-seat, self-service, restaurant is the ideal location for those who wish to enjoy a relaxing meal in picturesque surroundings. Visitors have a choice of between eight and ten options from our hot food buffet, which is served daily between noon and 3pm. Service is extended until 4pm during peak season. 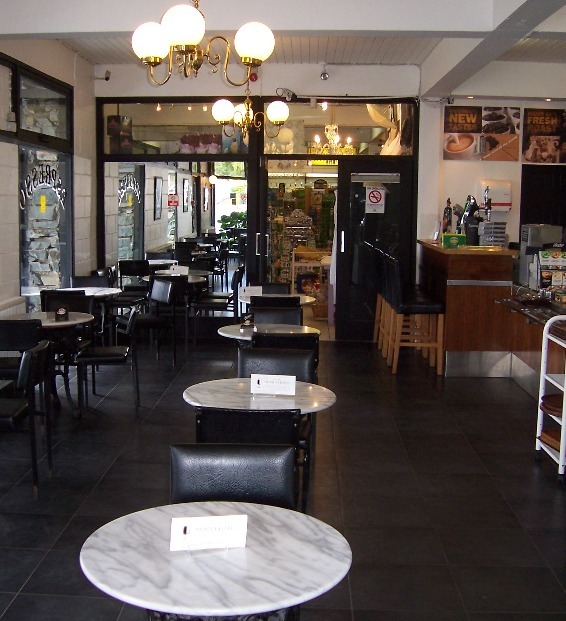 Mucros Garden Restaurant offers an excellent range of menu options, including vegetarian and gluten free, and value for money. Mucros Garden Restaurant also caters for those who would prefer just a light snack. Freshly made sandwiches, soups, scones and pastries, are available at very competitive prices, while our on-site bakery provides an excellent array of gateaux and mouth-watering deserts. These include firm favourites such as Baileys Cheesecake, Strawberry Cream Meringue and Bannofi Pie. 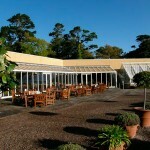 A popular lunchtime venue, both for visitors to Muckross and for local Killarney residents. Open: All year, 7 days 10.30am – 5.30pm, 7 days. July & August: 9am-7pm.